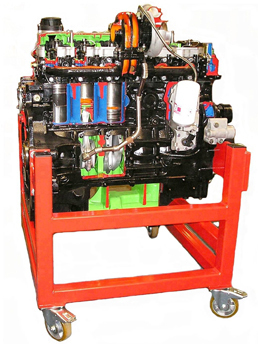 Fully sectioned 4 or 6 cylinder diesel engine showing the workings of an internal combustion engine. Rotated via a handle to demonstrate the internal rotation of a 4/6 cylinder diesel engines components. Mounted on a self contained frame complete with castors.